Finding an eLearning outsourcing content provider who meets all your needs can be a difficult undertaking. In this article, I'll offer 5 tips on how to choose the right eLearning partner for your company. The eLearning industry is growing more popular every day, as more and more organizations realize the benefits of making the move to eLearning. In response to this ever-increasing demand, there are now a myriad of eLearning outsourcing content providers to choose from. So, how do you know which eLearning outsourcing content provider is ideally suited for your eLearning project? Here are 5 top tips on how to find the best eLearning partner for your company. Get a Free PDF Download on eLearning Outsourcing! It's time to find an eLearning outsourcing content provider who meets all your needs. Always research potential eLearning outsourcing content providers to learn as much as possible about their experience, background, and staff. Verify whether the eLearning company has worked on similar eLearning projects or with other organizations in your niche. For example, they've developed numerous health and safety simulations that are comparable to yours. Established eLearning companies should have a large eLearning portfolio representing what they are capable of doing. They may also have finely-tuned eLearning teams who have a vast amount of experience and skills. However, start-ups are also worth considering, especially if they can provide references and have a polished online presence. Ultimately, do not be swayed solely by fancy logos or sites with plenty of bells and whistles. Instead make sure that any potential eLearning outsourcing content providers have a solid background and proven success in the field. Meeting deadlines, quality control, and collaboration are all important aspects of working with an eLearning outsourcing content provider. Therefore, you should have a clear idea of how the eLearning outsourcing content provider handles their own business practices. Be sure to ask upfront about their philosophy on collaboration, communication, and data security. You are likely trusting them with information that is sensitive for your own company. Likewise, you need them to be available if you encounter any issues or need to express your concerns. Before you sign anything, ask what the process will be once an agreement is made. 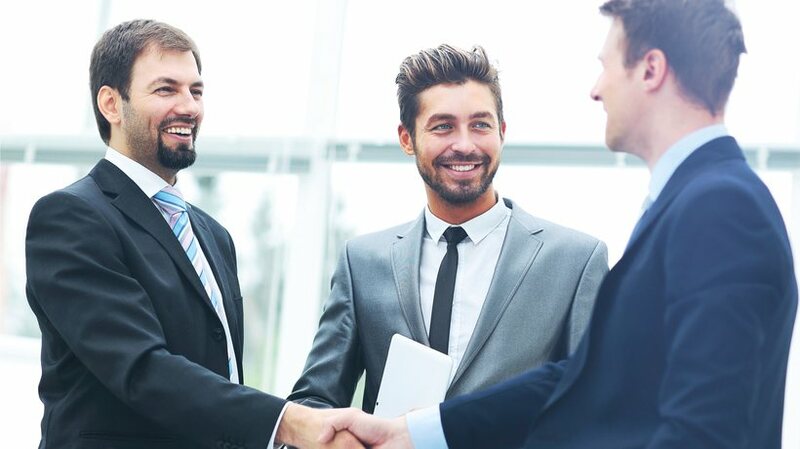 Make sure that you are fully aware of what to expect once the sales pitch ends and your working relationship begins. The potential eLearning outsourcing content provider may have an excellent reputation. Even so, it is still important to check up on the team members that will be working on your eLearning project. In some cases, eLearning companies will assign new employees to the task. As a result, you may not get the same results as you would with more experienced team members. Check individual resumes or ask to meet with the collaborators to alleviate your worries. In most instances, a reputable eLearning company will be more than happy to introduce you to those with whom you will be working. Furthermore, any concerns related to confidentiality can also be minimized with consistent eLearning team members. For example, request that the same collaborators work on the eLearning project from start to finish. You have the opportunity to vet these individuals in advance and become more familiar with their skills and talents. Since you are potentially going to be spending a good amount of money on this eLearning project, it is a good idea to ask for samples. Then ask the eLearning outsourcing content provider to walk you through the eLearning content development process for a specific example. For instance, did they achieve the desired outcomes? Or did they overcome obstacles that threatened to derail the eLearning project? Better still, invite the eLearning outsourcing content provider to create a detailed overview of how they'll handle your eLearning project, in particular. Barring this option, you can ask for overviews of current eLearning projects they are working on for other companies. This allows them to demonstrate the width and breadth of their knowledge in your field. In this way, you can determine whether or not the eLearning outsourcing content provider is capable of meeting your needs, goals, and objectives. Social media groups are a great place to discover new eLearning outsourcing content providers, as well as learn valuable information about eLearning partners you're already considering. Ask around to see which eLearning outsourcing content providers other eLearning professionals have used in the past and if they are repeat clients. Inquire about the strengths and weaknesses of the eLearning company, and then match it to your list of must-haves. Do they fit the bill, or should you keep looking for the perfect match? eLearning conferences, workshops, tradeshows, and other networking eLearning events give you the chance to meet new eLearning content providers. You can also check-in with eLearning professionals in attendance to get their input. They may be able to provide you with contact details for their go-to eLearning partners. If not, they can at least disclose which eLearning outsourcing content providers you may want to avoid, based on your needs or eLearning budget. For instance, an eLearning outsourcing content provider may come highly recommended, but they don't specialize in your field. With so many eLearning content development companies vying for your eLearning project, it can be difficult to know which eLearning partner is best for your company. You can narrow down your list of candidates by doing your research ahead of time, clarifying expectations, and getting to know the eLearning team. Bear in mind that this may become a long-term relationship. Thus, starting off on the right foot can save you a great deal of frustration and stress later on. Want to learn more tips about the benefits of eLearning outsourcing? 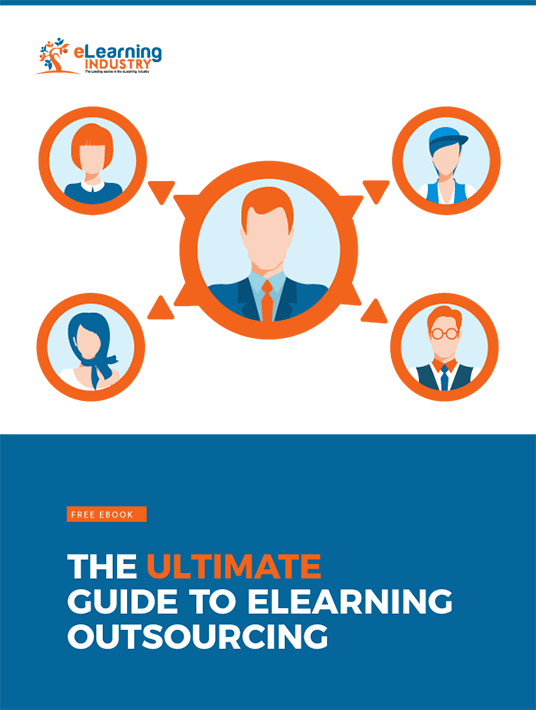 Download the Free eBook: The Ultimate Guide To eLearning Outsourcing to discover how to ensure a smooth collaboration with your eLearning content provider, how to prepare ahead of time, and how to set a realistic budget for the outsourced eLearning project.